Visual product customization software helps companies create configurable 3D visualizations of their products for use on their websites or e-commerce platforms. This type of software improves the buyer experience by providing detailed 3D visualizations and allowing buyers to configure products online. More advanced software also provides features for virtual reality and interactive product tours. Visual product customization software is mostly used by e-commerce professionals but can also be used by designers or salespeople. Visual product customization solutions should integrate with CAD software or provide the option to import CAD models. Integration with e-commerce platforms and web content management software is also essential. Visual Product Customization reviews by real, verified users. Find unbiased ratings on user satisfaction, features, and price based on the most reviews available anywhere. Powertrak CPQ is a visual quoting, ordering and configuration solution. This 'thin' browser-based solution suite comprises of guided selling, product configurations, and an advanced 2D and 3D (drag-and-drop) product configurator that includes virtual reality experiences. Powertrak 2D/3D Product Configurator enables users (sales, customers, partners, resellers, and distributors) to build, design, quote, and order/buy make-to-order products using an interactive (drag-and-drop) and visual experience. Powertrak's configure, price, quote (CPQ) technology boosts user adoption, improves engagement, and enhances the overall customer experience. Powertrak augments visual product configuration with virtual reality experiences. Empower users and stakeholders to interact with configured products and explore environments using the HTC Vive or Oculus Rift headsets. This offering will visually, physically and emotionally amaze your prospective customers with an awe-inspiring three-dimensional interactive experience. 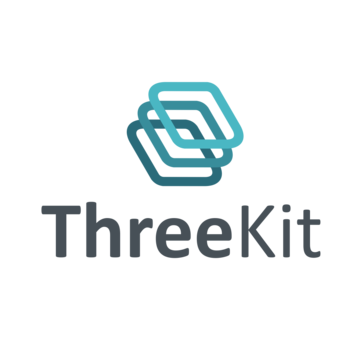 ThreeKit is a powerful 3D product configuration and visualization platform that arms brands with the tools to create interactive product experiences. Founded by Ben Houston, a 15-year veteran in Hollywood Visual FX software and a team of 3D pioneers, ThreeKit combines innovation, expertise, and experience to deliver high-quality solutions that boost online customer engagement and conversions. The company is headquartered in Chicago with a technology innovation center in Ottawa. You heard from us, now we want to hear from you! KBMax is redefining CPQ & ecommerce for companies globally. Our product configurator is the only one that can handle complex business rules, visualization, real-time pricing, CAD automation & integrations. This end-to-end solution results in an awesome buying experience, a faster sales cycle & a more efficient manufacturing process. Sketchfab is an industrial design software tool is useful for ideation and for beginners in the industrial design field. Combeenation is a powerful SaaS Product Configurator Management System. Whether are in B2C or B2B: and can focus is on customer specific needs, Combeenation will be the perfect tool. No matter for what product, industry or customization purposes. ConfigBox is a multi-functional Product Configurator for Joomla, Wordpress and Magento with integrated Order Management and implements the whole order process from product configuration, request for quotation (RFQ), ordering and shipping. Configure 3.0 is a market-leading configurator that is fully optimized for both desktop and mobile experiences. This on-demand system features a robust, proven set of features out of the box for simple and rapid implementation, seamlessly integrating with any eCommerce platform and scaling to meet consumer demand. Grip is web-based software that automatically generates visual content for physical goods. Grip was built by INDG, a company that had accumulated over 15 years of knowledge and experience to completely rewire how manufacturers represent their products digitally. The patented technology behind Grip captures INDG's years of experience with computer-generated graphics. Every manufacturer should be able to show their work - always in the best light. LiveArt is a shirt mockup software for printing stamps on clothes. Marxent’s 3D Cloud™ is the leading solution for retailers and manufacturers investing in an enterprise-wide, omnichannel 3D content strategy. The 3D Cloud CMS makes it easy to upload, configure and distribute 3D assets across Augmented Reality, Virtual Reality, web and mobile applications while optimizing for realism and speed. 3D Cloud downloads content on request, eliminating the need for in-app Unity bundles and unleashing the potential for unlimited 3D product catalogs. It offers everything you need to build a winning 3D product strategy — 3D Cloud scales to the enterprise, builds buyer confidence and delivers powerful analytics. SeekView allows brands to enable augmented reality directly on their website--no app required. The SeekView is a turnkey solution that takes the complex and expensive process of building an app for augmented reality product viewing and allows brands to quickly enable consumers to better visualize their products. SeekView works with a single product in a startup to tens of thousands of products with major enterprise brands. Seek Studio allows brands easy access to manage 3D models, links, embedding, and usage analytics. For years, augmented reality has lifted sales conversion by over 30%, but it has been stuck behind an app, until now. SeekView brings AR to the mainstream through it's best-in-class 3D viewer and cross-platform (iOS and Android) web-based AR. Customers now expect custom products and SOLIDWORKS makes it easy to transform your online shopping experience. Full cloud and website integration means changes to product offerings can be made in minutes. No need for expensive custom software SOLIDWORKS makes it simple. Hi there! Can I help you find the best Visual Product Customization solutions?